Forty-one year old, orphan, heavy drinker, he earns a living working in a café and selling smuggled cigarettes. Here is, in broad terms, the portrait of the anonymous man who one day has a strange epiphany in a dream and wakes up with his palms bleeding. An irascible weirdo, reeking of alcohol, without a real purpose in life: the last person in the world who seems likely to deserve the saints’ wounds. Indeed, he protests when somebody talks about stigmata, while the doctors are persuaded that he hurts himself on purpose, the customers of the café complain about the blood stains he leaves on glasses, and his boss thinks he’s ill and looks at him in disgust. On the other hand, a procession of neighbours honours him with holy cards and votive candles. What is God’s project for him? That’s what the reader wonders from the very beginning of this graphic novel, and the protagonist will deal with the same question after the unexplainable ‘miracle’ leads him to disaster. In fact, because of this ‘gift’, he loses his job and his home is set on fire by the same candles offered by his worshippers. “We’re just rubbish, doomed to rot” mutters the man, overwhelmed, breaking down in the street. A verdict that will be overturned, in the end. Stigmate is a sort of medieval mystery play, placed in a contemporary urban setting that looks more and more threatening, degraded and horrible, inhabited by many social outcasts, including greedy, deceitful and aggressive individuals, but also fragile and unfortunate creatures. 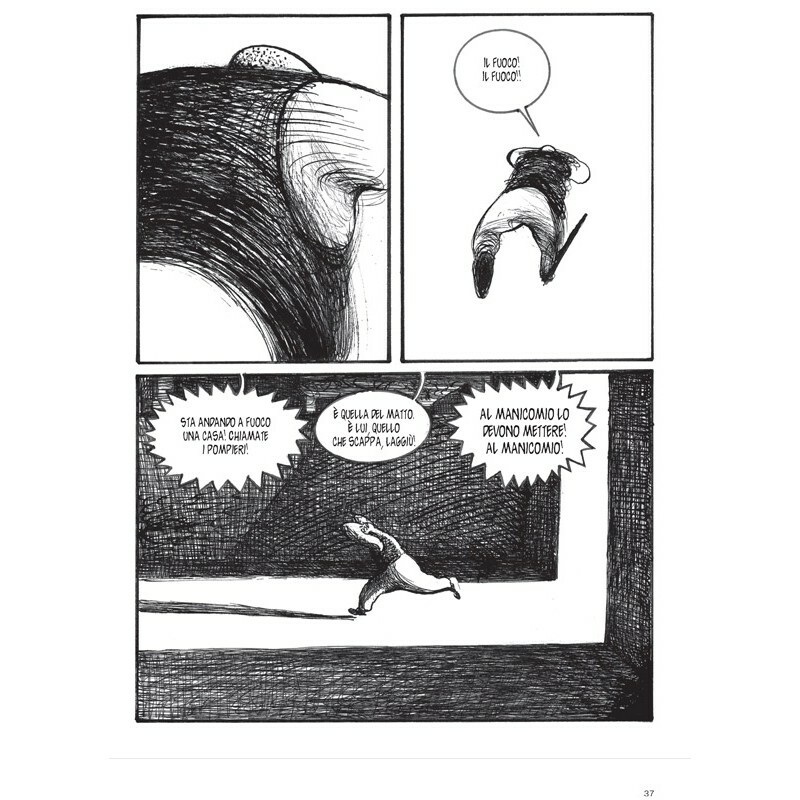 This story results from the perfect match between the lyrical and harsh text by Claudio Piersanti and Mattotti’s black-and-white illustrations, which appear dirty and more tangible than ever. Through nervous nib strokes, the artist makes the black stand out boldly, and even furiously, on the white page. Figures, faces and landscapes come to the surface through these tangles of lines, anticipating the style of Hansel & Gretel and Oltremai. 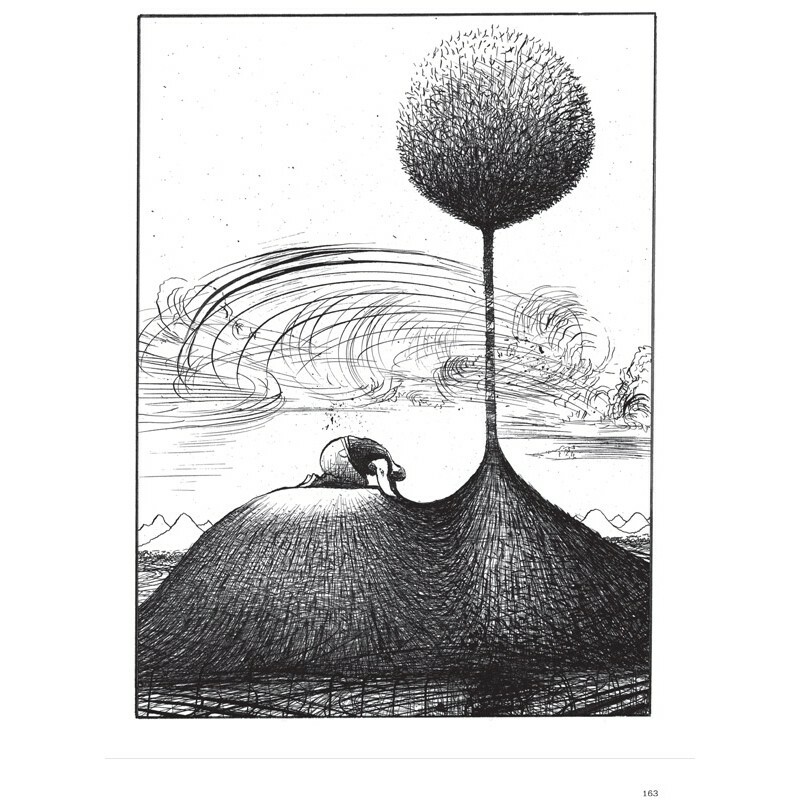 A story permeated with religiousness, where human existence, from fall to rebirth, passing through a temporary and tragically lost happiness, becomes a modern parable about the worth of any human being. A parable which teaches how, deep inside one’s personal hell, anyone deserves to rise again to salvation, even those who live on the fringe of society – the last who shall be first according to the Gospels. 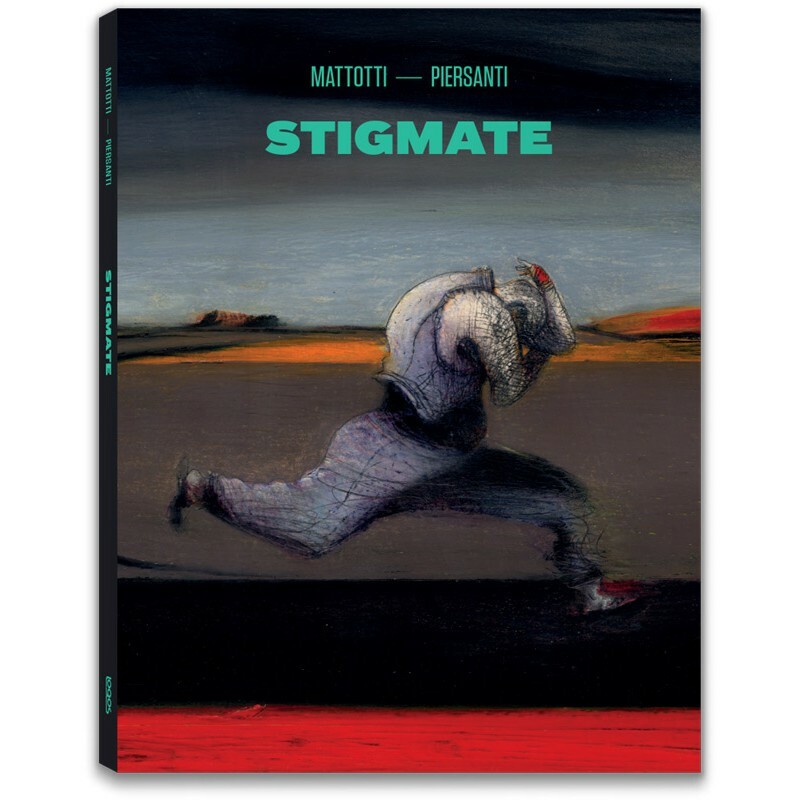 First published in 1999 by Einaudi in the series Stile Libero and adapted as the movie Estigmas by the Spanish director Adán Aliaga in 2010, Stigmate is now republished by #logosedizioni, as the second volume of a series presenting the artistic evolution of Lorenzo Mattotti as a comic author in a new guise. Lorenzo Mattotti lives and works in Paris. After his studies in architecture, he started off in the late 1970s as a comic strip artist and in the early 1980s created the Valvoline collective together with other artists. In 1984 he published Fires, which was welcomed as a great event in the world of comics and won several important international prizes. From Incidenti to Stigmate, from Signor Spartaco to Doctor Nefasto, L’uomo alla finestra and several other titles, Mattotti’s work has evolved consistently and, at the same time, with the eclecticism of an artist who is always in search for new territories to explore. Today his books are translated all over the world and his illustrations are published in newspapers and magazines such as The New Yorker, Le Monde, Das Magazin, Süddeutsche Zeitung, Le nouvel Observateur, Corriere della Sera, and la Repubblica. Mattotti re-interpreted the creations of the most important fashion designers for the magazine Vanity, and in 2010 designed all the covers for the architectural monthly magazine Domus. He has illustrated several children’s books, such as Pinocchio by Collodi and Eugenio, that won the Grand Prix of Bratislava in 1993, one of the most important awards in the field of children’s publishing. He has also created posters, covers and advertising campaigns: he designed the posters for the Cannes Film Festival in 2000 and for the Estate Romana. 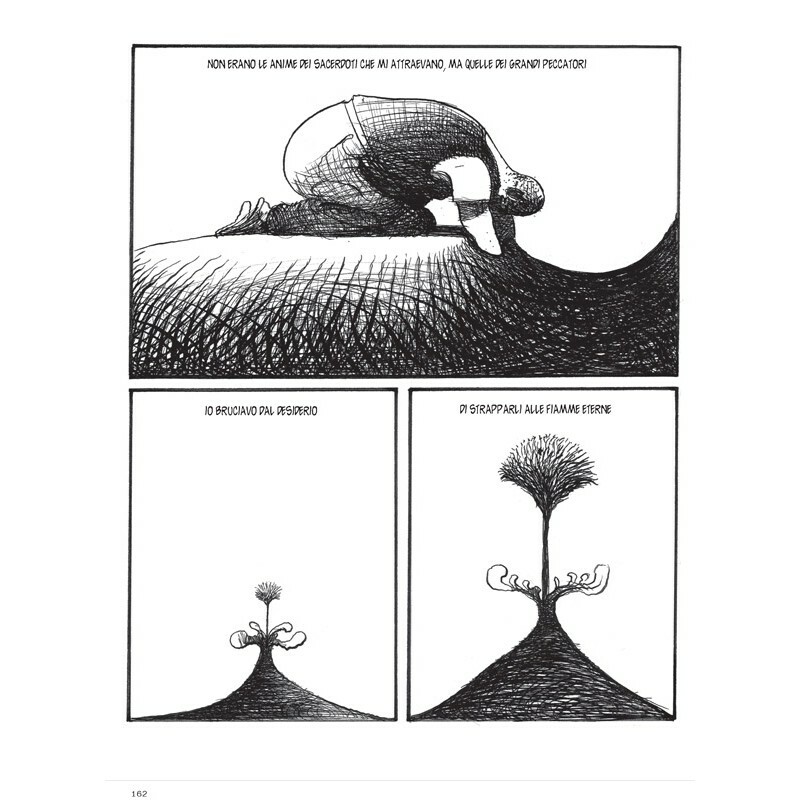 Among his most recent publications: Jekyll & Hyde (NBM Publishing, 2003) and The Crackle of the Frost (Fantagraphics, 2003) and, at the same time, I manifesti di Mattotti (2002) and Angkor (2003) for Nuages; in 2008, Appunti sul paesaggio for Tricromia and Le avventure di Pinocchio in the Einaudi series “I Millenni”; in 2009 Hänsel e Gretel for Orecchio acerbo/Gallimard, whose amazing illustrations complete Neil Gaiman’s texts in the English edition (Toon Books, 2014). In 2010, a collaboration with Lou Reed gave birth to The Raven (Fantagraphics Books, 2012). Mattotti worked for the cinema too: in 2004, he created the segments between the three episodes of Eros, a film by Wong Kar-wai, Steven Soderbergh and Michelangelo Antonioni. In 2007 he made one of the six episodes of the collective animated film Peur(s) du noir. In 2011, he worked at the animated sequences of the movie by Charles Nemes, Il Etait une fois... peut-être pas and, in 2012, he created backgrounds and characters for Pinocchio, an animated film by Enzo D’Alò. In 2012, #logosedizioni launched the series “Works”, a systematic publication of his illustrations: the first volume deals with pastels and the second one is a tribute to the fashion world. In 2013, #logosedizioni released also the visionary work Oltremai, which was exhibited at the Pinacoteca di Bologna. In 2014 he created Vietnam, for the “Travel Book” series by Louis Vuitton. Mattotti’s works were featured in many solo exhibitions, such as the anthological exhibitions at the Palazzo delle Esposizioni in Rome, at the Frans Hals Museum in Haarlem and at the Musei di Porta Romana in Milan, and, more recently, in the exhibitions Sconfini (2016–2017) and Covers for The New Yorker (2018) whose catalogues were published by #logosedizioni. In 2017, Mattotti collaborates again with Jerry Kramsky, creating the new graphic novel Ghirlanda (#logosedizioni), an epic story that carries the reader on a magical journey. Ghirlanda wins the Gran Guinigi Award at Lucca Comics & Games in 2017. Mattotti’s universe by now seamlessly ranges over comics, painting, illustration and film animation. Claudio Piersanti was born in 1954. In 1978 he obtained his degree in Philosophy at the University of Bologna and in 1981 he published his first novel with Feltrinelli, Casa di nessuno, followed by Charles (Lavoro editoriale and Transeuropa 1986, 1989; Feltrinelli UE 2000). He lived partly in Bologna and partly in Padova for almost twenty years. For a long time he worked as a journalist specialised in the divulgation of neurobiological sciences, and he was the director of a monthly neurobiology magazine for ten years. He also directed la Rivista dei libri, the Italian edition of the New York Review of Books for several years. Meanwhile, he continued publishing books with Feltrinelli, including the short stories collection L’amore degli adulti (1989; then republished in an enlarged edition, Feltrinelli UE I998 and following reprints) and the novels Gli sguardi cattivi della gente (1992), Luisa e il silenzio (1997, winner of the Premio Viareggio and of the Premio Vittorini, and reprinted several times), L’appeso (2000), Il ritorno a casa di Enrico Metz (2006, winner of the following prizes: Premio Napoli, Premio Campiello Selezione Giuria dei Letterati, Premio Frontino-Montefeltro, and Premio Alassio 100 libri – un autore per l’Europa), I giorni nudi (2010) and Venezia, Il filo dell’acqua (2012, first private edition by Consorzio Venezia Nuova, 2009). His new novel La forza di gravità is soon to be published, once again by Feltrinelli. 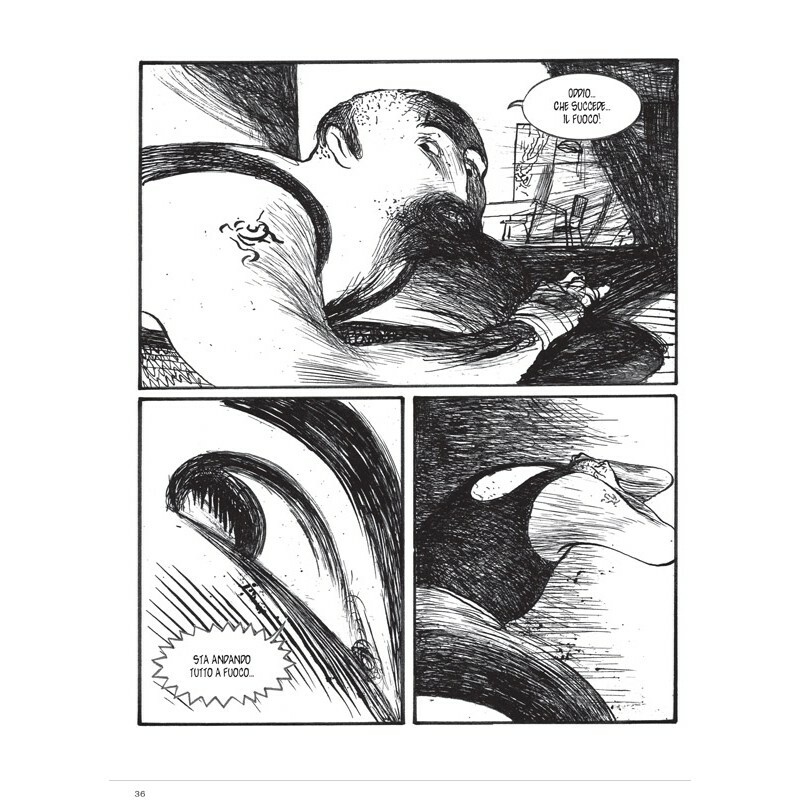 His books have been translated into many languages, and he wrote several scripts for comics and movies, in collaboration with Lorenzo Mattotti and Carlo Mazzacurati.